Size: 60x 28 x 72 (L XBX H)in inches approx. 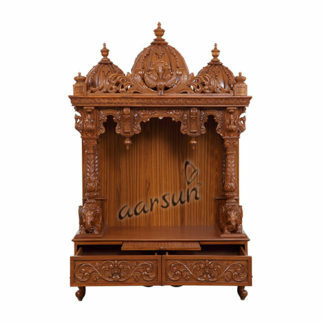 Handmade Wooden Temple / Mandir by skilled artisans in Traditional Design with premium finishing. Three Drawer for pooja essentials. Please note that the unit is in Teak Wood except for the base and the ceiling where teak ply is used. 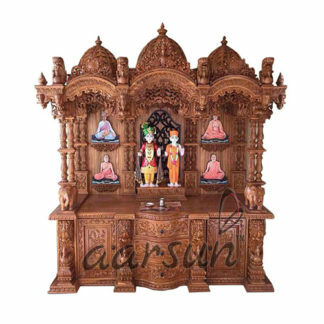 Handcrafted Wooden Temple in Teak Wood with Traditional Finish. 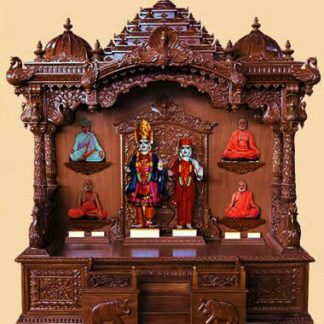 Product Details : Teak Wood Product Size: 60″ (Length) X 28″ (Width) X72″ (Height) Beautiful domes at the top with carving at the mehraab.